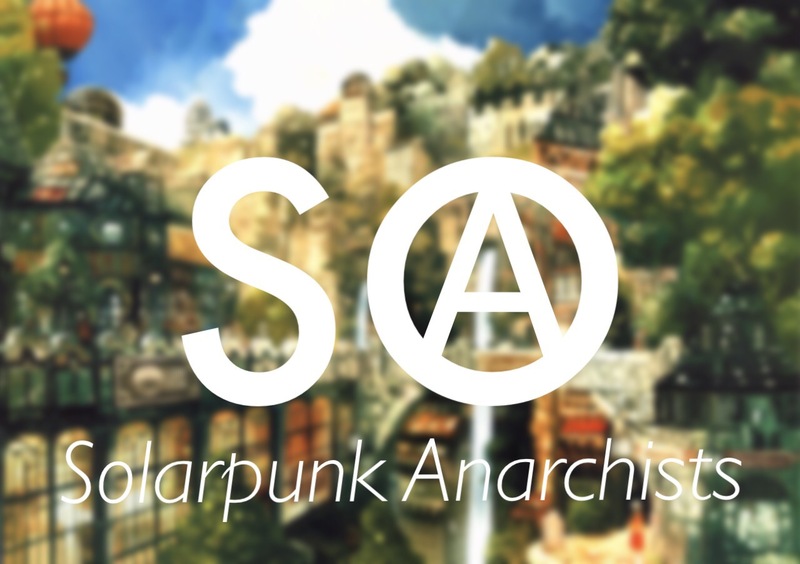 The aesthetic-cultural philosophy of solarpunk and the politics of social anarchism were practically made for each other. This site attempts to combine them. Solarpunk is a new science-fiction and cultural movement dedicated to imagining a bright hopeful future powered by green energy, where technology is used for human-centric and eco-centric ends. It envisions moving us beyond artificial scarcity and toil while helping mend the rift between humanity and nature; looking beyond many of the dark and grim tropes so common in dystopian visions of the future. Artistically it takes influence from Art Nouveau, African and East-Asian art, and other attempts to blend the organic with the synthetic. It is a form of futurism which focuses on what we should hope for rather than on what to avoid. Social anarchism is an ethical-political transition which grew out of the fusion of classical liberalism and anti-authoritarian socialism in the 19th century, combining a concern for personal freedom with the desire for popular liberation from social hierarchy, political authoritarianism, and economic exploitation. It seeks, in the long-term, a decentralised directly-democratic polity and economy of the commons based on direct participant-control of all institutions, while also prefiguring the values of such a society in the here-and-now: individual autonomy, voluntary cooperation, mutual aid, non-hierarchical forms of self-organisation. Solarpunk Anarchists continues a pair of disciplines within social anarchism called social ecology and post-scarcity anarchism (PSA), which saw possibilities for freedom through utilising technology for liberatory ends – instead of the profiteering and dominative ends of the capitalist state system – repurposing technics to eliminate dull, dirty, and dangerous forms of labour, while decentralising their scale to allow greater human-control. We believe the sensibilities of social ecology/PSA fit solarpunk like a glove, and produce written material which tries to bridge the gap between the world we’re stuck in now, and the liberated world we seek to create. Interesting site… but is it dead? Because I cannot see any 2017 articles. Is there going to be another article on this site ever? It’s going to start regular posting again either next week or the week after. It is now 2017, November 17th .. so how many days are in your weeks?